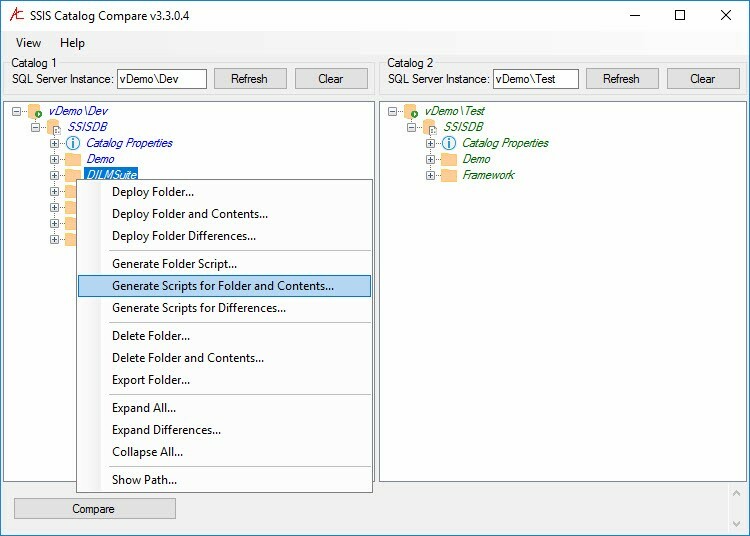 SSIS Catalog Browser is one of the free utilities available for download from DILM Suite (Data Integration Lifecycle Management Suite). I love the SSIS Catalog. It’s an elegant piece of data integration engineering and I cannot say enough positive things about it. 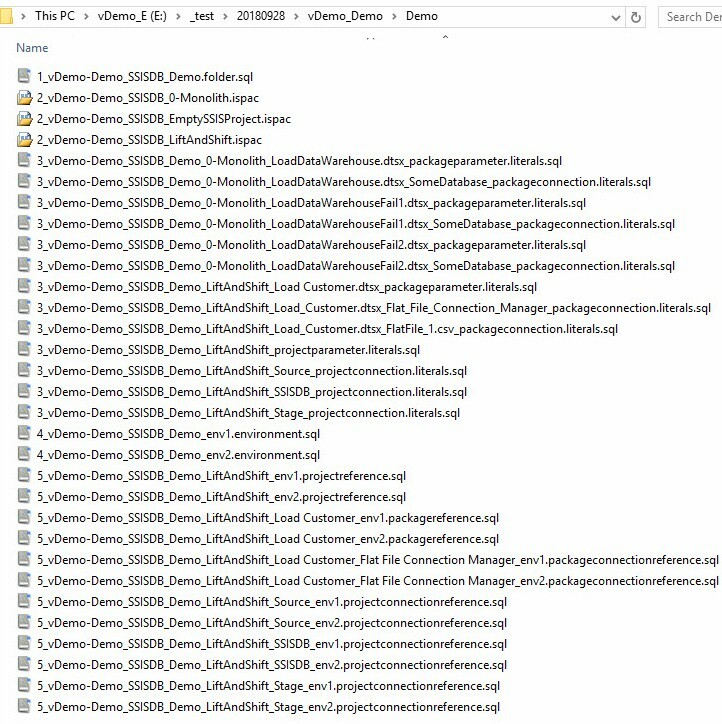 Packaging SSIS Catalog deployments can be tricky, though. 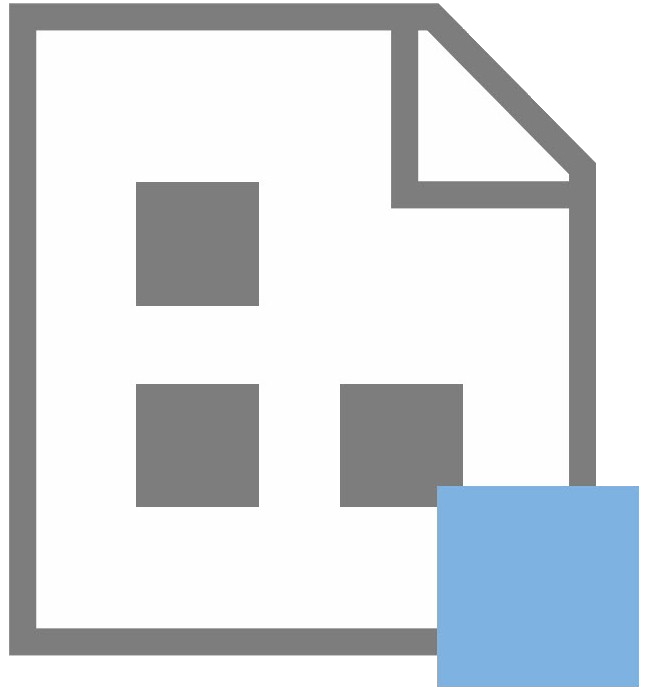 The SSIS Catalog is a framework. 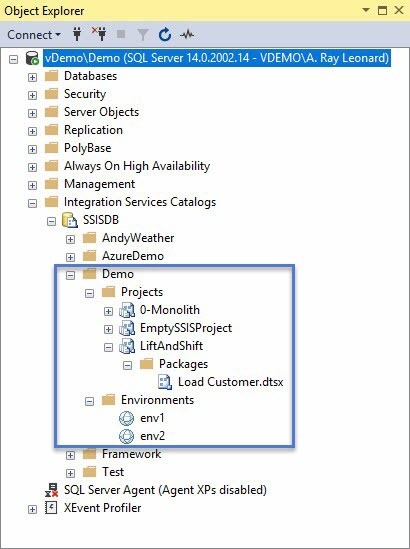 Frameworks manage execution, configuration, and logging; and the SSIS Catalog handles each task with grace. Like I said, I love it! 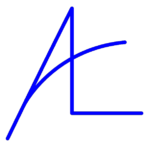 SSIS is often administered by database administrators, or DBAs. I admire DBAs. It’s often a thankless job – more like a collection of jobs all rolled into one (and subsequently paid as if its one job…). 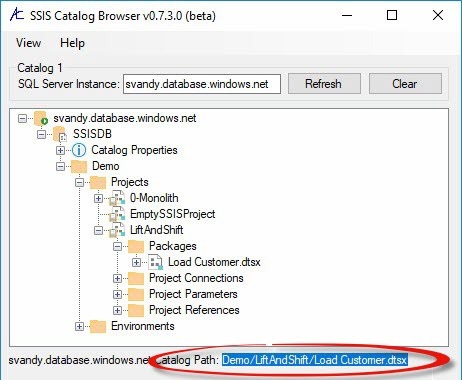 I believe the SSIS Catalog interface presented to DBAs in SQL Server Management Studio is sufficient. 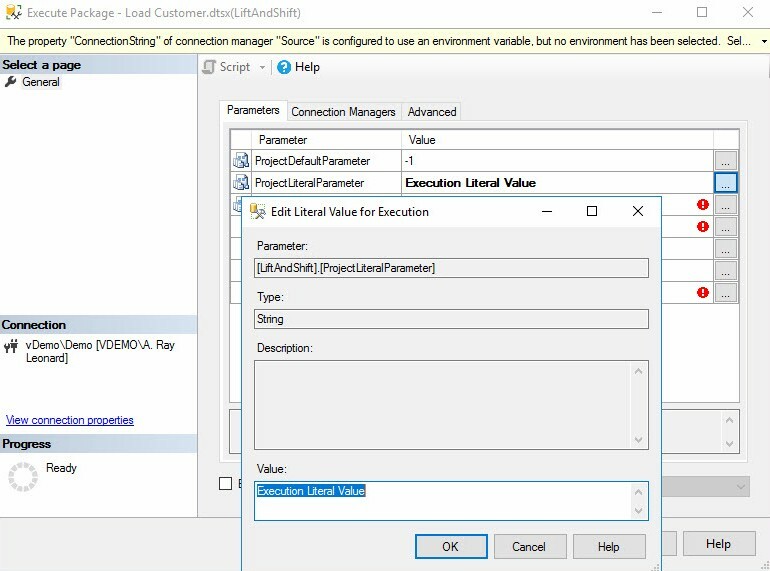 My complaint is the SSIS administrator has to expand a handful of nodes in Object Explorer and then right-click to open the SSIS project configuration window and then double-click each referenced SSIS Catalog environment to determine which value is configured for use when an SSIS package is executed. Click the screenshot above to see what I mean. 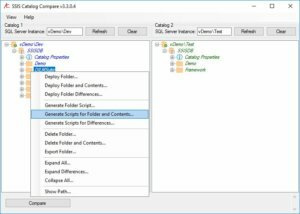 Configuring SSIS Catalog deployments in SSMS is challenging. I find it… clunky. 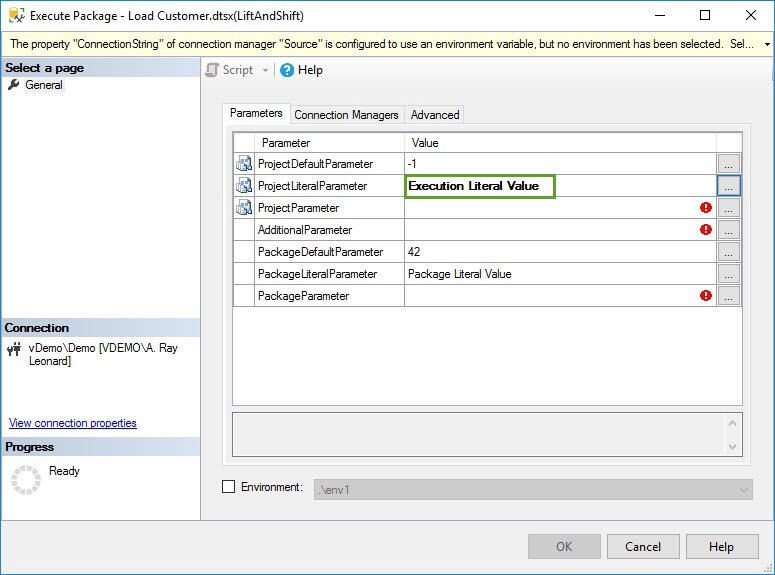 Once I understood all the windows, what they meant and how to configure an SSIS package and project deployed to the SSIS Catalog, this made sense. But – in my opinion – this interface works against comprehension. Does this interface work, though? It certainly does. 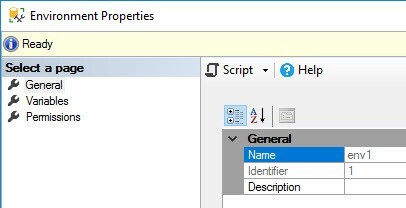 When I teach people how to use the SSIS Catalog, I show them how to use the Object Explorer interface provided in SSMS. I don’t stop there, however, because I built one solution to the problem. I call my solution SSIS Catalog Browser. 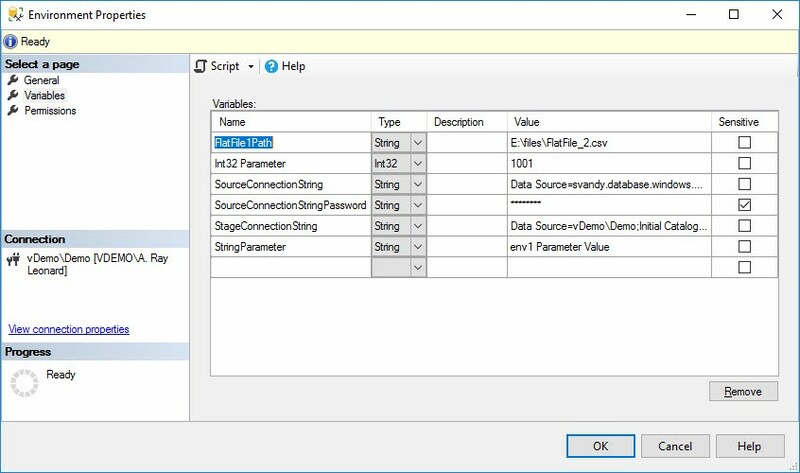 If you click to enlarge this image you will note I am viewing the configuration of the same parameter displayed in the SSMS image above. I find this interface cleaner. Do administrators still need to understand how to configure SSIS Catalog deployments and SSIS packages and projects deployed to the SSIS Catalog? You bet. There is no substitute for understanding. 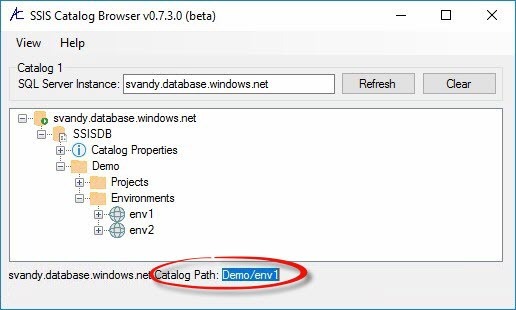 SSIS Catalog Browser surfaces the same metadata displayed in the SSMS Object Explorer. The only difference is Catalog Browser is easier to navigate – in my opinion. Best of all, Catalog Browser is free. 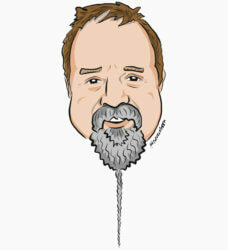 Development – an environment where SSIS developers build SSIS packages and projects. 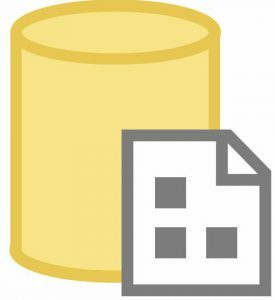 SSIS developers need permission / rights / roles to utterly destroy the database instances in Dev. 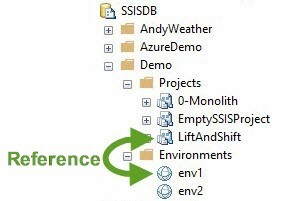 If the SSIS developers lack this ability, you have “an environment named Development but not a Development environment.” There is a difference. 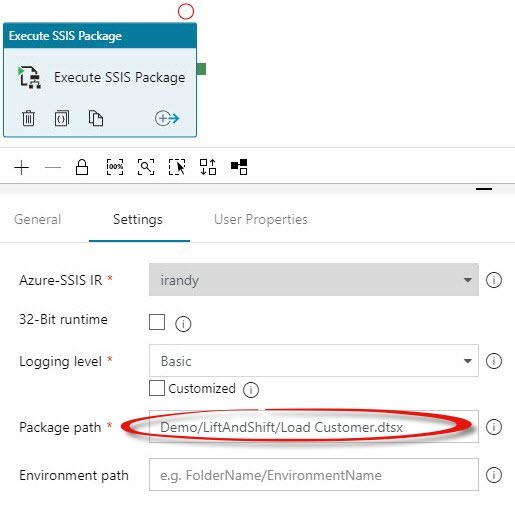 Test or Integration – an environment where SSIS developers have permission / rights / roles to deploy, configure, execute, and view logs related to SSIS packages and projects. UAT or QA (User Acceptance Testing or Quality Assurance or any environment other than Production, Test, or Development) – an environment that mimics Production in security, permission / rights / roles. 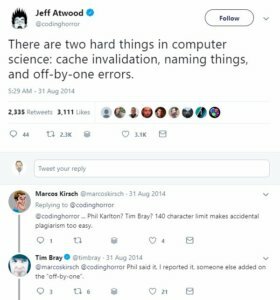 Developers may (or may not) have read access to logs, source, and destination data. 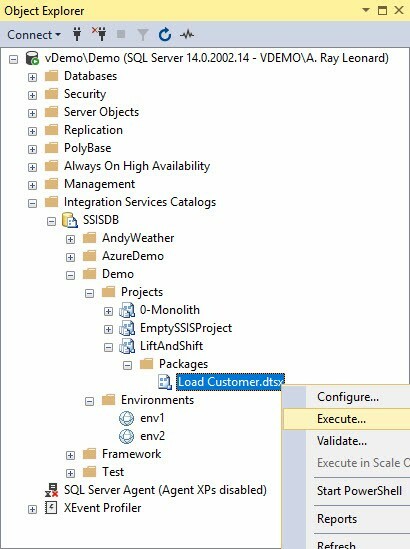 SSIS administrators (DBAs or DevOps / Release teams) own this environment. 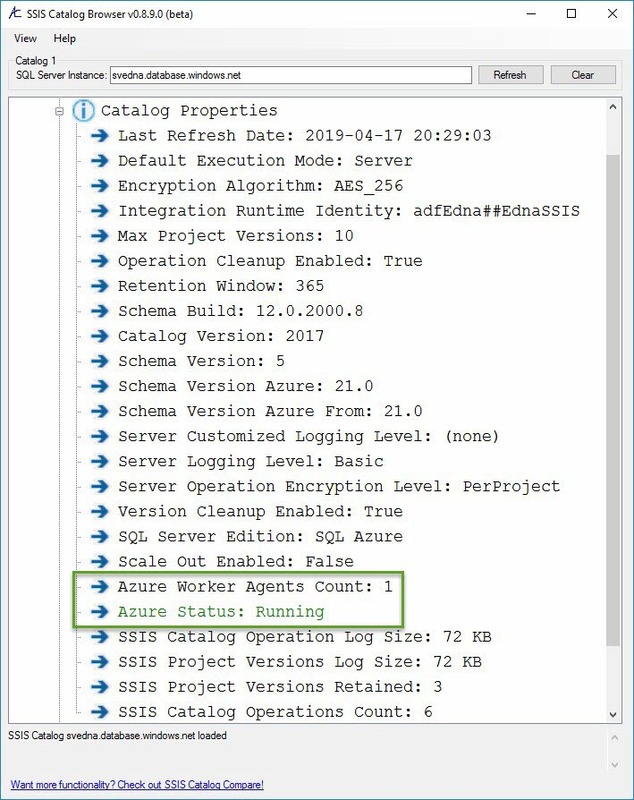 The person performing the deployment to Production should perform the deployment to UAT / QA / Whatever because I do not want the Production deployment to be the very first time this person deploys and configures this SSIS project. 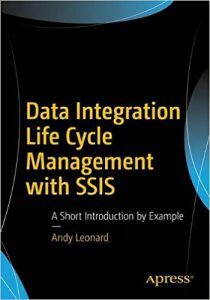 I architect data integration environments in this manner to support DILM (Data Integration Lifecycle Management) with SSIS, as I wrote in Data Integration Lifecycle Management with SSIS. 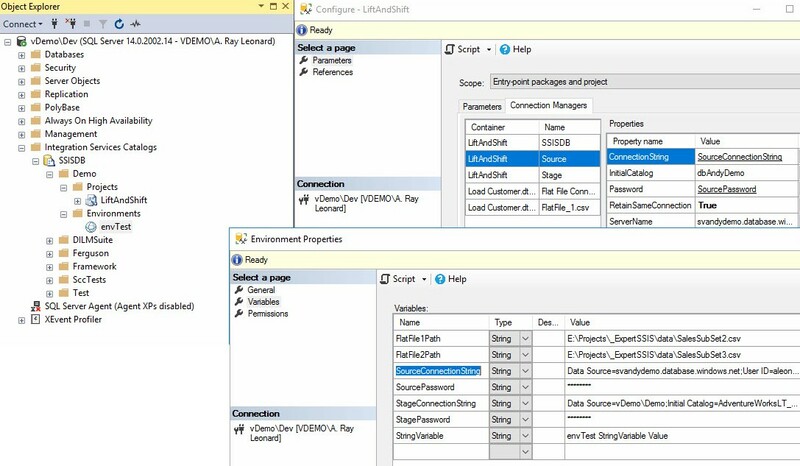 SSIS developers create the initial SSIS Catalog deployments in the DILM DevOps cycle. I cannot overemphasize this point. 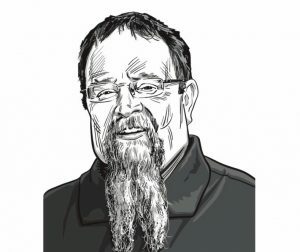 Developers need an environment where they are free to fail to build SSIS. They aren’t free to succeed, in fact, unless and until they are free to fail. Have you ever heard a developer state, “It works on my machine.”? Do you know why it works on their machine? Defaults. They coded it up using default values. The defaults have to work or the developer will not pass the code along to the next tier. 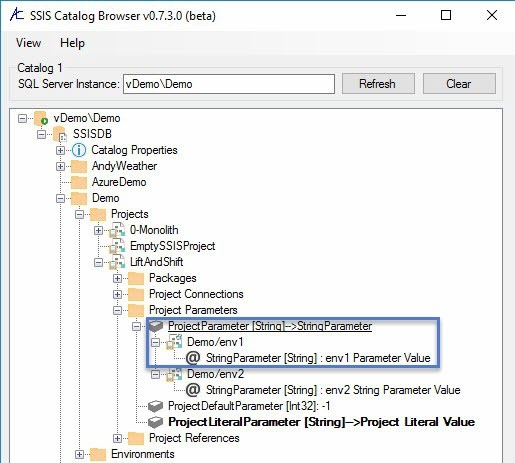 How does an SSIS developer know they’ve forgotten to parameterize values? How do they figure this out? 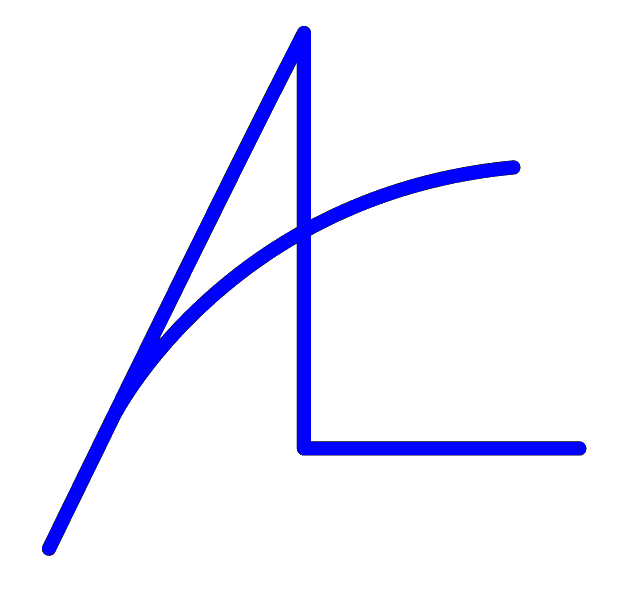 It’s impossible to test for missing parameters in the Development environment. 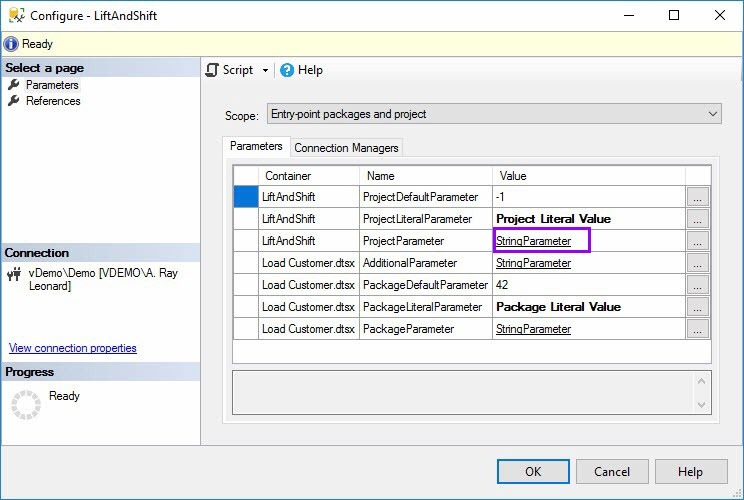 The answer is: SSIS developers must deploy the SSIS project to another environment – an environment separate and distinct from the Development environment – to test for missing parameterization. To review: SSIS developers need a Development environment (not merely an environment named Dev) and they need a different environment to which they can deploy, configure, execute, and monitor logs. 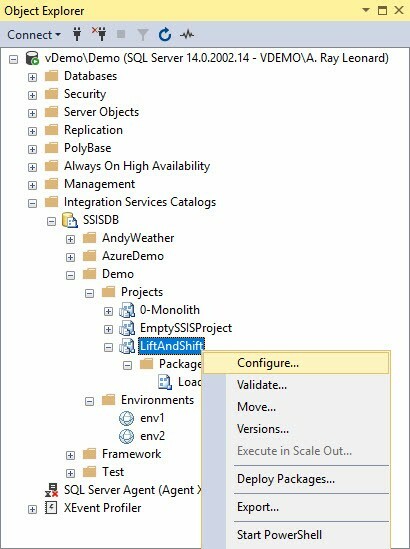 Having the SSIS developers build and script the SSIS Catalog deployments eliminates 80% of deployment configuration errors (according to Pareto…). 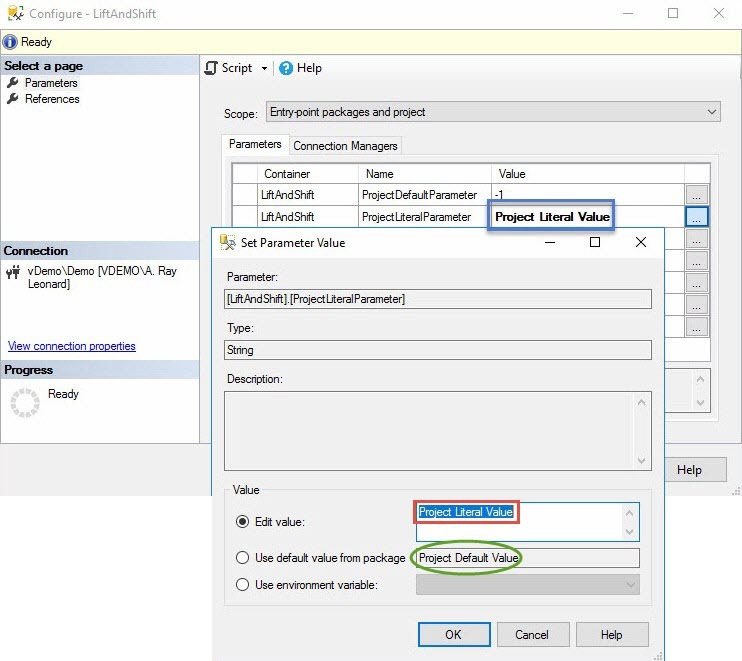 Having SSIS administrators practice deployment to UAT / QA / Whatever eliminates 80% of the remaining errors. 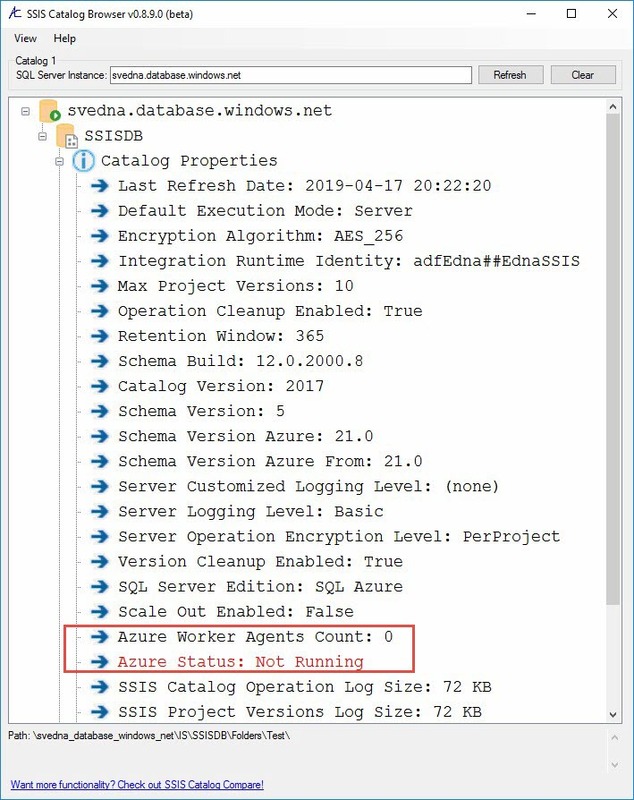 I will not go into functionality missing from the SSMS Object Explorer Integration Services Catalogs node (nor the underlying .Net Framework assemblies). I will simply state that some functionality that I believe should be there is not there. I don’t stop there, however, because I built one solution to the problem. 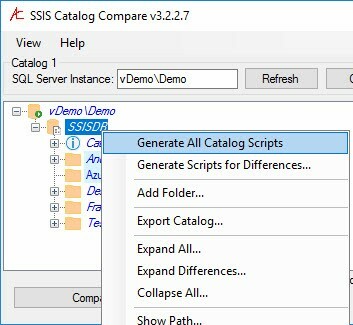 I call my solution SSIS Catalog Compare. 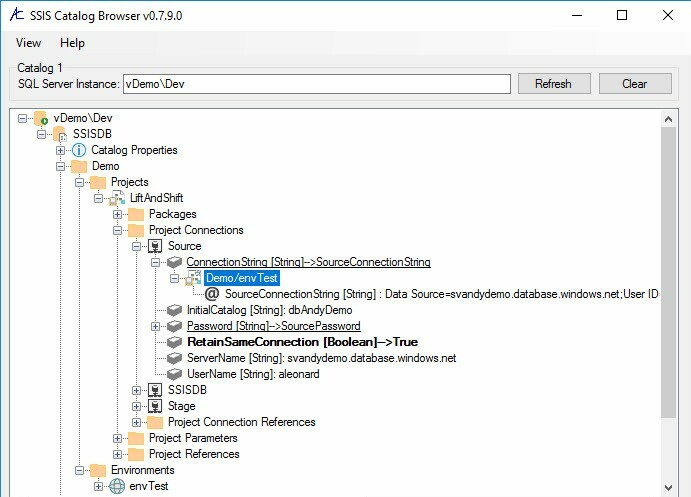 If you click the image to enlarge it, you will see a treeview that surfaces SSIS Catalog artifacts in the same way as SSIS Catalog Browser (they share a codebase). 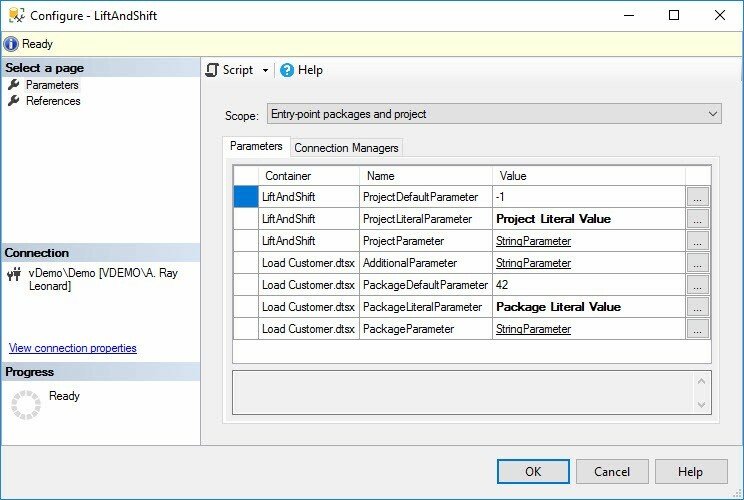 You will also see the results of a comparison operation, and the user initiating the packaging of an SSIS folder deployment by scripting the folder and its contents. 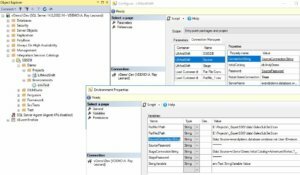 You can use SSIS Catalog Compare to lift and shift SSIS Catalog objects from any environment to any other environment – or from any DILM tier to any other DILM tier – provided you have proper access to said environments and tiers. 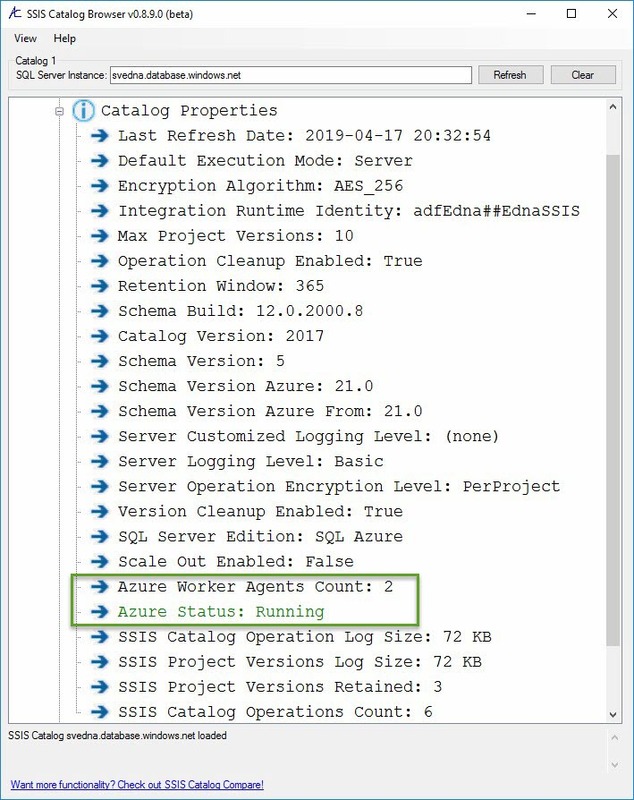 This includes lifting and shifting SSIS to the Azure Data Factory SSIS Integration Runtime, also know as Azure-SSIS. Zip up the contents of this file system folder, attach it to a ticket, and let your enterprise DevOps process work for data integration. 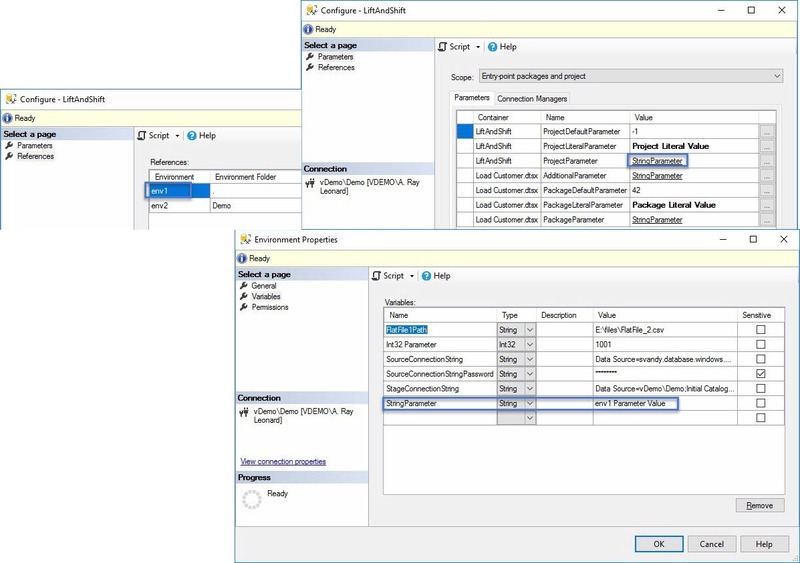 The SSIS Catalog is a framework, and a pretty elegant framework at that. Some pieces are clunky and other pieces are missing.